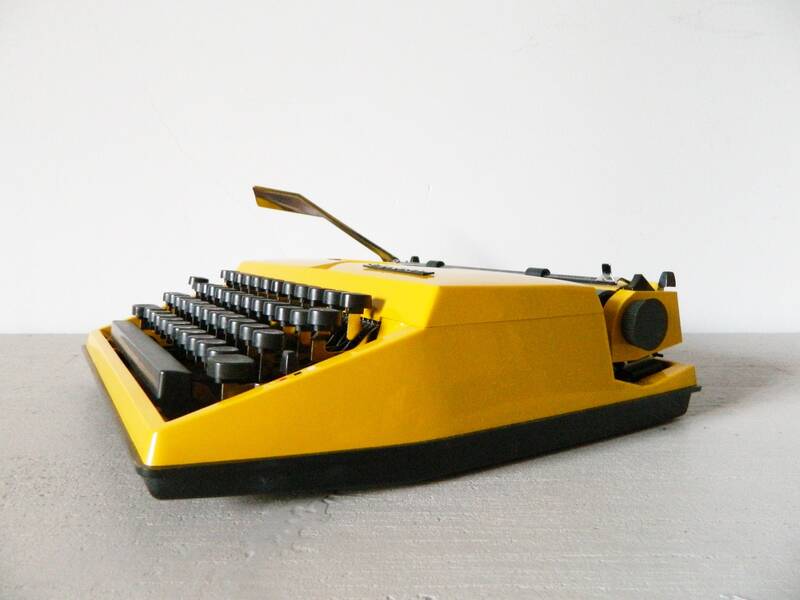 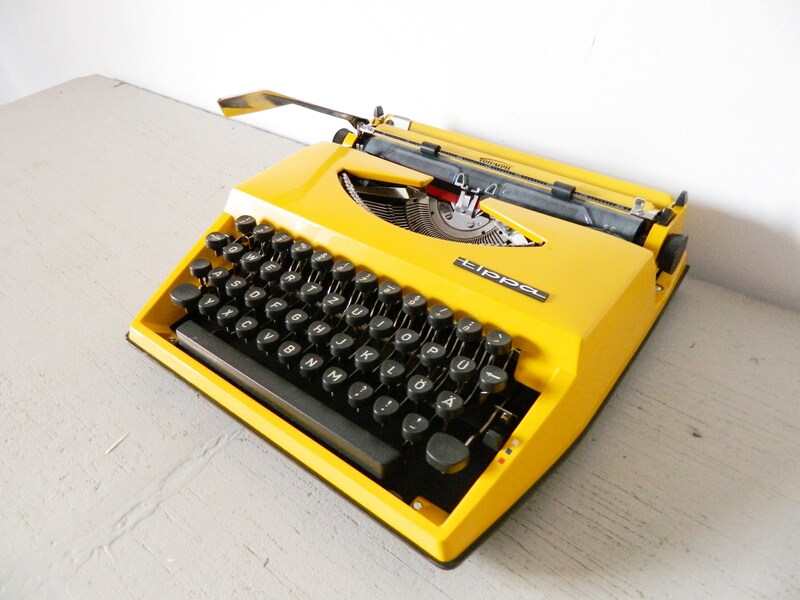 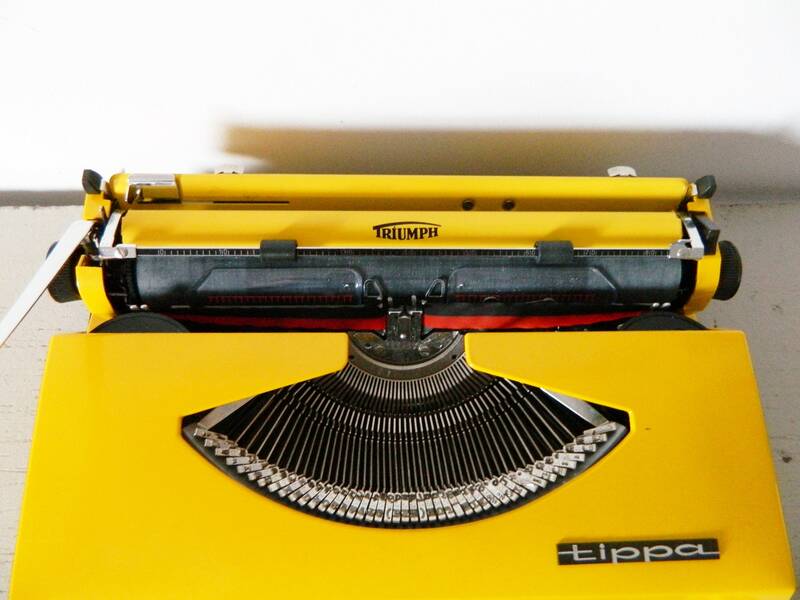 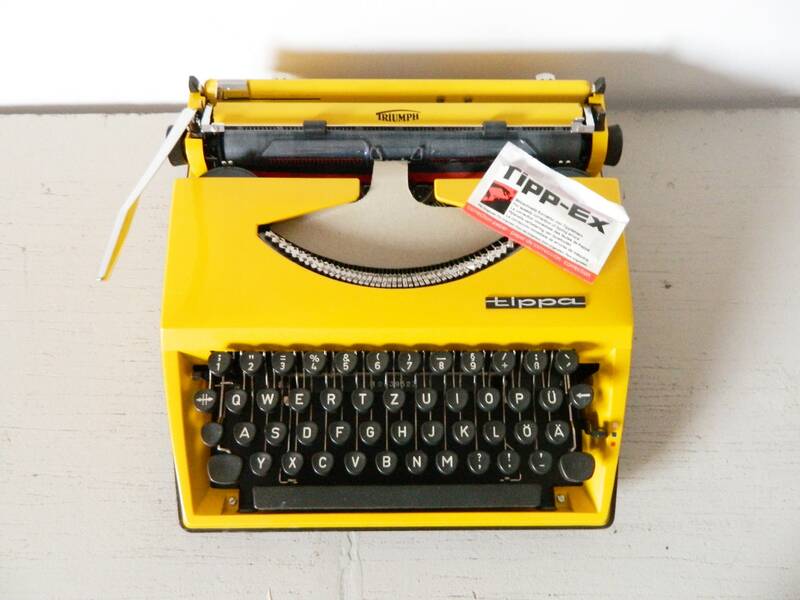 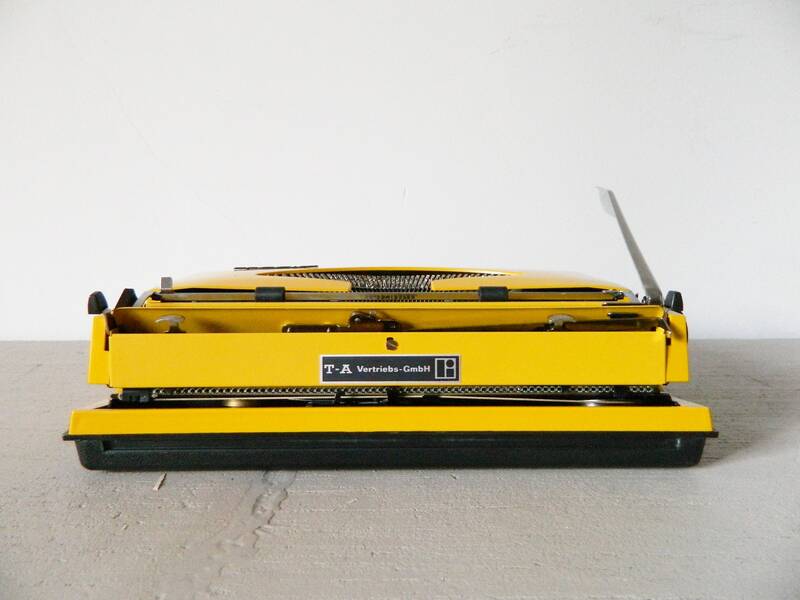 Typewriter in a beautiful yellow. 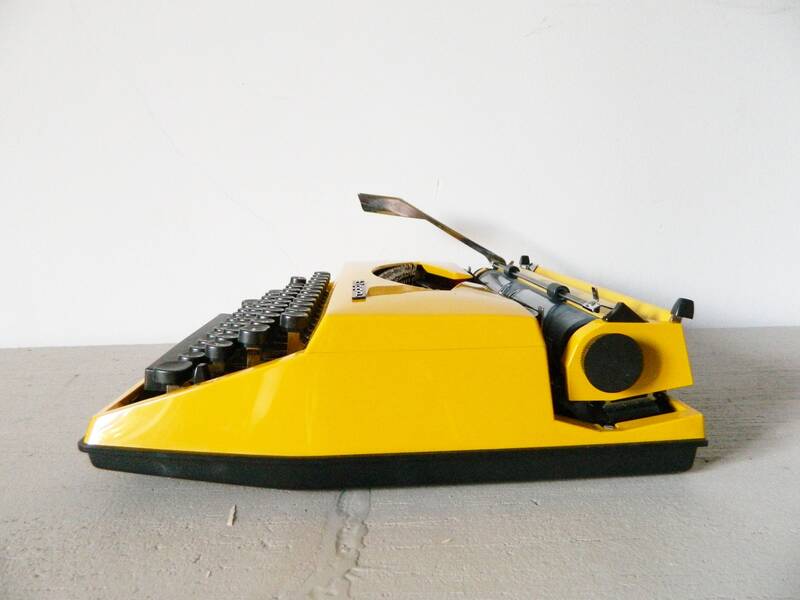 The machine is new and has only been used once. 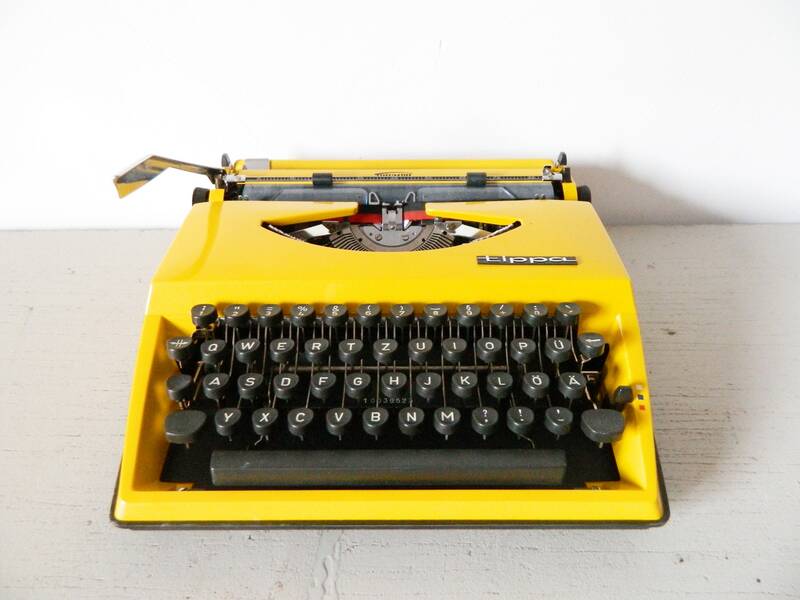 It is in an absolute original condition. 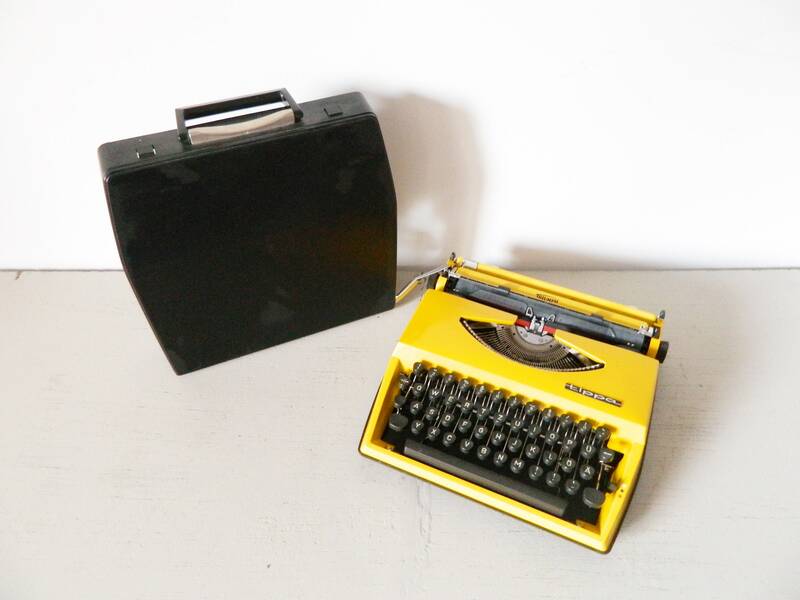 The casing, the keyboard and everything else top. 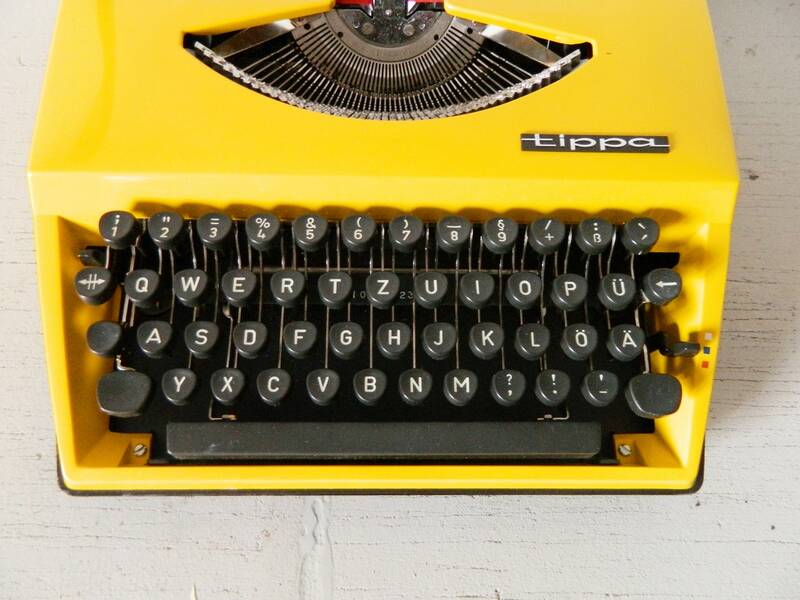 Only the ribbon could be faded after a long time (even if it was not used) and should be replaced.